Please select an option Black Brown White Please select a color. 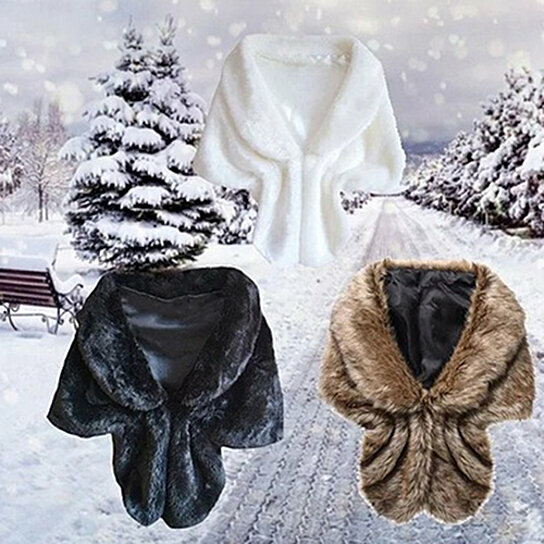 Women's fashion collar cappa shawl coat cardigan waistcoat lapel cloak. Made of high quality faux rabbit fur, very comfortable and soft. A wonderful gift for winter.